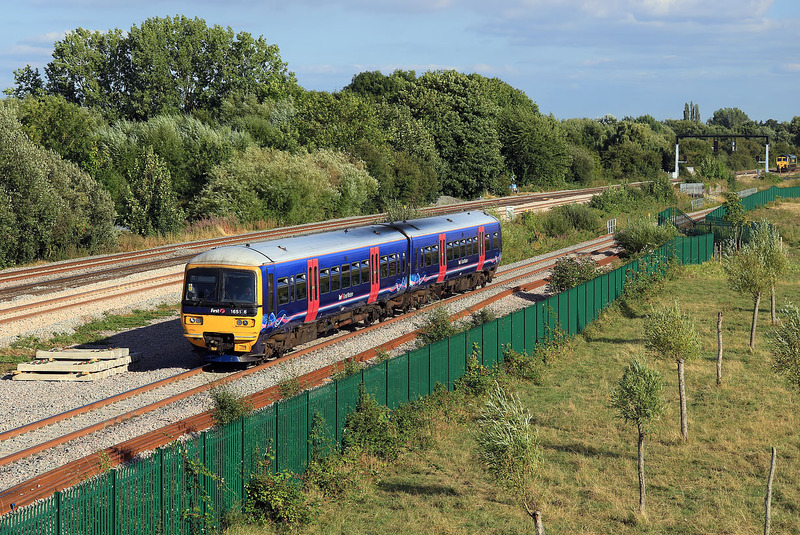 A new operating practice can now be witnessed at Wolvercote, after the reinstatement of the down relief line. With passenger trains heading north from Oxford station using the new relief line, and freight trains from the south using the main line, this scenario will now become commonplace. 165136 runs along the down relief on 2 August 2018 with the late running 2M54 17:01 Reading to Banbury GWR service, while in the background 66519 is held at the signal with the 0M28 18:16 Hinksey to Bescot light engine move. Clearly this wide view of the location is not going to last much longer, once the newly planted trees in the foreground get established.